We've compiled one of the largest databases of different trucking companies broken out by individual states. Find your next trucking company today! We answer and continue to collect common questions that drivers have about the trucking industry. Just starting out? Seasoned driver? We cover it all. Stay up to date on the latest news related to trucking company mergers, new trucking technology, or regulation changes at state/federal levels. We cover it all! Complete breakdown of career related information and statistics for each state. We aim to provide an honest and transparent picture for salaries and career growth for heavy and tractor-trailer truck drivers. A lot of the current websites highlighting trucking jobs and careers focus on selling you the idea of the career. Our goal is to try and provide you with an honest picture of what a day in the life of the trucker looks like. The trucking and transportation logistics industry changes on a daily basis. We cover the newest emerging technologies coming out in trucking and major news related to changes in trucking companies. By utilizing BLS and ONET statistics, we aim to provide insights on growth for trucking related careers. TruckingJobNow.com will break down these different sources to allow current and future drivers to learn more about the industry. When we began to look at the current state of various trucking industry websites, we quickly realized there was a common theme - all of them focused on one stage of the driver. Are you just starting out and have questions about trucking schools? You must go to Site A to find those answers. 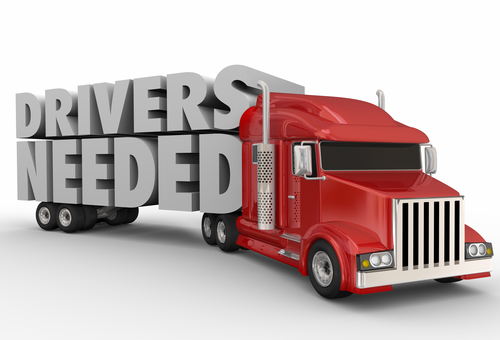 Have you been driving for a few years for one company and are ready to make a move? If you want tips on how to properly do that, you will need to go to Site B. It was that frustration of not having one single resource for drivers at any stage of their career that led us to create TruckingJobNow.com. We aim to provide an FAQ section that is broken out by what stage a driver is in. We also wanted to create a database of the different companies reliant on CDL drivers so you can find other companies to apply to. Finally, we wanted to provide information and insight on each state’s trajectory related to a trucking career so you can research what this career can hold for you in the future. The goal of our site will to provide those resources but also to do so in an updated fashion as new information or data becomes usable. Our blog will be used for current news and regulations truckers should be concerned with while the rest of our site will focus on the common research every truck driver might need. What Should I Know About Trucking Before Starting My Career? There are a lot of things to consider before starting the journey of earning your CDL. We encourage you to research the anticipated job growth and career outlook first. You can see some of the national statistics below or go to our breakdown by state to find data geographically more relevant to you. You will also need to consider the type of driver you desire to be. Are you ok driving solo for long periods of time? OTR drivers can anticipate driving anywhere in the country for various trips. If you aim to try and stay closer to home, regional drivers will typically haul in and around a state. If neither of those sound appealing, you may try to find a trucking company offering a local driver position that will stay primarily within the city they operate. You should also consider the associated salary of a trucking driver. There are a lot of factors that will decide this as each state can vary drastically. When you look at BLS salary information by different states, you will see that the average salary in Florida is $39,330 whereas Colorado is $47,340. Your cost of living and local taxes will also affect how much of that salary is your take home pay. I’m Considering Moving Companies - What Should I Know? We dive further into detail on this topic for experienced drivers which we encourage you to read. But there are primarily a few questions to ask right from the beginning of your application process. What is the salary and is paid training included? Each trucking company will offer different combinations of salary and paid training. It is important to weigh both of these out for the duration you plan to stay at the company. Are benefits included and when does a driver become eligible for them? There are some companies that might offer a lower salary but it could be because they offer things like healthcare, a 401k, and more. As healthcare can be an expensive part of that equation, benefits should be a factor in your research. What routes will I be driving? If you have a family and want to be home regularly, an OTR driver position might not be right for you. If you can, try and speak with a current driver about what they were promised regarding routes and what they actually drive. We all wish we could take a company at their word but there can be bad players out there that promise one thing but only offer another regarding regular routes. What am I comfortable hauling? You will quickly learn depending on the company you haul for that different cargo can require different licensing or training. You can ask if there are any requirements for Hazmat hauling and whether you feel comfortable hauling that. Utilize our website to find the answers to all of your questions related to trucking. If you have a question that isn’t answered here, let us know. We will do our best to get the question answered. ONET is another resource similar to BLS that has conducted polls to provide insights on truck drivers say they experience on a daily basis. 45% of responded their decisions were very important to company results. 37% of drivers responded they had some freedom in work structure. 76% of drivers responded they get to be outdoors every day. Here are some general statistics on nationwide trucking trends we pulled from BLS.